Living... with his wife and two kids in Berkeley, California. Adam lives close to his parents and his three brothers and sisters. They’re an extremely tight-knit family who are always in each other’s business. Bravermans by marriage just don’t understand. Profession... working for a shoe company – clocking in and out to provide for his family. He likes the stability. But when his brother Crosby finds an abandoned recording studio that needs fixing up, can he say no to such a wild opportunity? Interests… baseball and his family. He’ll take in an A’s game or go to a concert, but the most important thing in Adam’s life is his family. His siblings look up to him for advice, and he tends to take on their problems as his own. But he knows they’ll always help him out too. Relationship Status... married to Kristina, a stay-at-home mom. She has started to work for a congressional campaign, which has lead to a few fights between them. But in the end, they love and support each other, and make the change work. Challenge... helping his son Max who is diagnosed with Asperger’s syndrome. Max’s disability presents a series of challenges for the family. They have to hire a one-on-one aid, which puts the family under financial pressure as they save to put their older child Haddie through college. It’s not easy raising a son with a disability, but little moments, like when Max goes surfing with Adam, are small victories that feel much bigger. Adam Braverman's popularity ranking on CharacTour is #4097 out of 5,000+ characters. See our top-ranked characters and read their profiles. 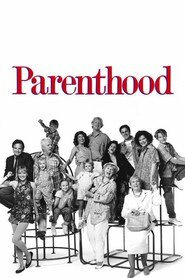 Parenthood is an American comedy-drama series based on the 1989 film of the same name. Executive produced by Ron Howard, the series aired for one season on NBC. Parenthood was one of many failed movie-to-TV adaptations in the fall of 1990 which included Working Girl, Baby Talk, Ferris Bueller and Uncle Buck.